Hello there folks! Jerm here with as promised, another awesome giveaway for you on one of the premier events going on in Tampa on New Year&apos;s Eve! This lavish The Rooftop Eve will be held atop of one of my favorite Tampa spots in Hyde Park Village at Timpano Italian Chophouse & Martini Bar and proceeds will benefit the Heartbeat International Foundation! There&apos;ll be plenty of food, music and entertainment on hand as one of my favorite local bands The Flats will be on hand providing entertainment along with some hot sounds from the irresistible groove and fresh aesthetic of DJ Papi&apos;s.
It&apos;s gonna be one of the livest parties around, and we&apos;re gonna give you a chance to be there to enjoy it all! We&apos;re giving away two "Party-Goer" passes to the event which includes admission, hors d&apos;oeuvres, dessert reception, champagne toast and open bar privileges. Shuttles will be provided to and from the event by this local transportation company? True or False The "Timpano Dinner Party Package" is a three course meal? Name one of the current band members of "The Flats". Now even if you aren&apos;t the winner of today&apos;s giveaway, this is still one party you wont want to miss folks so be sure to get your tickets asap! Embassy Suites in Downtown Tampa are providing suites to all patrons at a rate of $179. for the night. The two room suites will also include complimentary cook-to-order breakfast in the morning as well as a shuttle to and from the event. 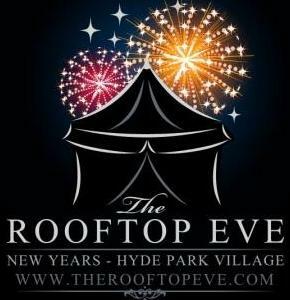 Make sure to call them directly, the discount code is "Timpano&apos;s Rooftop Party". That&apos;s all for now, but be sure to stay tuned in for more updates on things to do in Tampa Bay and Tampa Bay area events!